How to Stay Calm When There’s a Power Outage - New England Electrical Contracting, Inc. Check the circuit breaker: The first thing you should do when your power suddenly goes out is check the circuit breaker, especially if you lose power and it’s not storming outside. The answer to getting your power back on could be as simple as flipping a tripped breaker. If you don’t already know where your circuit breaker is located, take a few minutes to look around for it. Finding a circuit breaker in the dark is a lot more difficult than locating it now. Call a professional: If your circuit breaker wasn’t tripped and it’s not storming, you should probably go ahead and call a 24 hour electrician in Trumbull, CT to sort out your problem. An electrician can check all of your wiring to determine where the problem is coming from, and fix it as soon as possible. 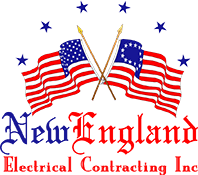 At New England Electrical Contracting, Inc, our pros are on call 24/7, 365 days a year to help with all of your electricity needs. Light some candles: Unless you’d like to sit in the dark while you wait for your electrician to arrive, we recommend lighting a few candles. They’re not as bright as your normal light bulbs, but candlelight beats pitch black darkness! You should also have a flashlight handy, for when you need to get up and walk around. Make sure you go out and buy some now if you don’t already have any! Keep your fridge closed: Unless you really need to grab some food from your fridge or freezer, it’s imperative that you keep both doors closed while your power is out. Obviously, your food needs to stay at the correct temperature while the power is out, and that won’t be possible if you keep opening the door. Stay cool: Though you shouldn’t keep yourself from overheating by standing in front of your freezer, there are some other things you can do to stay cool and comfortable during the power outage. Taking a cold shower or bath is the fastest way to cool down, but that’ll get pretty chilly. The Boy Scouts recommend putting frozen water bottles under your arms when you’re hot, so freezing a few water bottles now for use later is a good idea. If all else fails and you’re still too hot, just head to a local movie theater! Assuming their power isn’t out, too, you can count on them blasting the AC. The most important thing to remember is to call a 24 hour electrician in Trumbull, CT when your power goes out. An electrician will be able to put your mind at ease and get those lights back on in no time at all. Write our number down and be sure to call New England Electrical Contracting, Inc. first the next time your power goes out!